Ah, Sherlock. I’m so glad season 3 in your latest iteration is finally on TV. The game is afoot in my imagination. Our lives are filled with symbols. Literally filled. Two of the oldest are the nod and the shaking of the head as stand-ins for yes and no. In sociology, the study of human social behavior, these simple body gestures are symbols of communication. The interesting thing about those two, they’re nearly world-wide in understanding. That shows you how truly old they really are. Gestures are nonverbal information and they happen consciously and subconsciously. I started this post with the idea of doing a head to toe run-down of gesture symbology. But after I’d composed all of the following, I saw dozens more in my mind. I’ve decided to change it to head to collar. Otherwise I’d be working on it all day! I can’t do that, I have a novel in progress that needs my attention. Holy cow. And that just involves the head! I’m sure I’ve missed some. There are so many ways to silently communicate. Other nonverbal gestures involving hands and body stances say even more. For the most part they’re universal symbols. Again, their universal understanding suggests they are beyond ancient to our species. Interesting to note: There are places in the world where your A-Ok or thumbs-up hand gesture would be taken as an insult. There are also places where your nod means no. In Korea, you must be careful how you smile. I have to wonder how anomalies of this sort came to be. 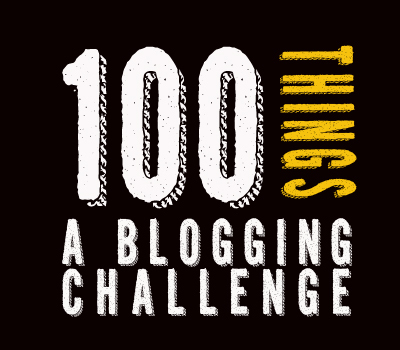 Another 100 Things Blogging Challenge! For 100 days, I’ll post something from my chosen topic: Words on the Verge of Extinction. There are 77 entries to come. Today our guest is Elizabeth Schechter. Pointing at people is also considered bad form in some cultures. You should upload this list into the files on the yahoo group for us. 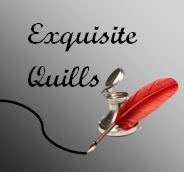 As writers, this is a great resource! Thanks! I could do that. Which group.the RB4U? I f I am caught looking at a female in a car ahead or beside me at a light I many times get a hair toss. As soon as I get it I look elsewhere so it doesn’t get too obvious. I spend lots of time people watching at Starbucks reading or talking to those around me. Almost every time I look up and glance at a woman walking by I get a smile. It has to be subconscious because I don’t know most of those who don’t stay. These tells give me something else to look for. Great blog. Thanks, Ray. People watching is fun. I’m always picking up details for my stories. We really are open books. What a list! There’s a nuanced meaning in everything we do. I heard recently to watch out for when people say yes but shake their heads no, or say no but nod their heads yes… apparently it’s the nod or shake that tells the truth, not the spoken word. Have you heard this before? I started noticing it then and was amazed! I’ve heard of that as a trick that breaks the social conditioning habit women have of always saying yes. You nod and say, I’m sorry I can’t help you. Or I’m sorry I don’t have time to do that for you. It’s pretty amazing how much we give away about what we’re thinking by doing the simplest things. What a great list for only one part of the body – so many give-away nuances that we aren’t aware of! I love the new, modern series of Sherlock. I do too! 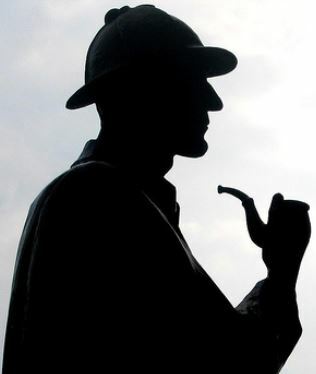 It’s the best iteration of Sherlock Holmes since Jeremy Brett captured the essence of Sir Arthur Conan Doyle’s character so completely. I’ve read those original stories inside out so it’s really fun to see the innuendo and story bits tucked in here and there. Too bad there are only three episodes. I hope they continue.